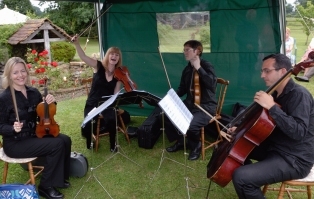 Groovestone is an in-demand UK function band, providing high quality live music for weddings, corporate events and private parties throughout the nation. Renowned for their abiltity to get people dancing, a typical set covers everything from classic soul to modern chart hits. A young, dynamic outfit that are proud to offer a professional standard of music for events, Groovestone has a great onstage look, exceptional lead vocals and a proven track record in keeping a dancefloor packed all night! EntsWeb publishes an Internet based directory of specialist Entertainment, Music, Event Industry, Leisure & Tourism related contacts. The aim is to bring entertainment bookers together with entertainers and to provide a source of entertainment and leisure industry information. 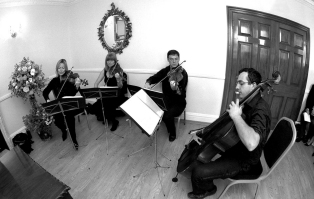 Publishers of string quartet sheet music for the wedding and function market, with an extensive catalogue of classical, jazz, pop, show, tv and film titles, including free arrangements available to print online now. Your wedding day is one of the most important days of your life. It is absolutely unique, and of course, totally unrepeatable. A wedding day film will allow you to relive the memories of your special day, for the rest of your lives. Call or email to check our availability for your special occasion. Download a list of our full repertoire.